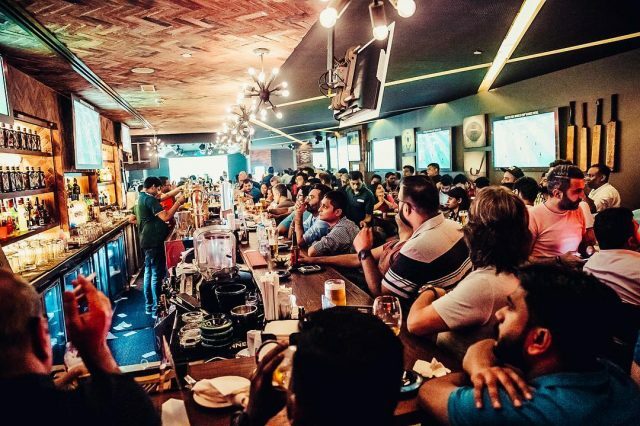 With World Cup action heating up, we’ve shortlisted 11 happy hour Dubai offers to try at our favorite sport bar Dubai hubs. We’ve got all the must-know details to get those discounts flowing… let’s go! 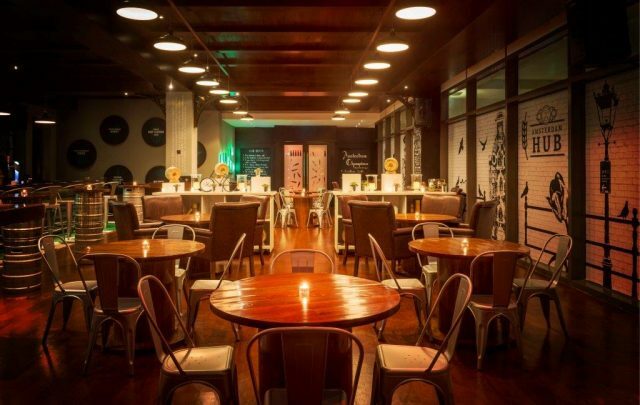 Offer: Go Dutch at Amsterdam Hub with happy hour Dubai deals from 4pm-8pm. You’ll find draught beer for AED 29, buckets of bottled beer for AED 140, and buy-1-get-1-free on selected house spirits and wine. They also feature Monday quiz nights and comfort food options like burger triplets on the menu. Call +971 52 579 5000. Offer: Head down to Barrel 12 for a daily happy hour between 4pm-7pm with a 30% discount on selected bevvies, and wine and beer starting at AED 25 – AED 35. Also on offer is a traditional roast with 5 bottles of hops for AED 199, available every Friday to Sunday. Call +971 4 552 4000. 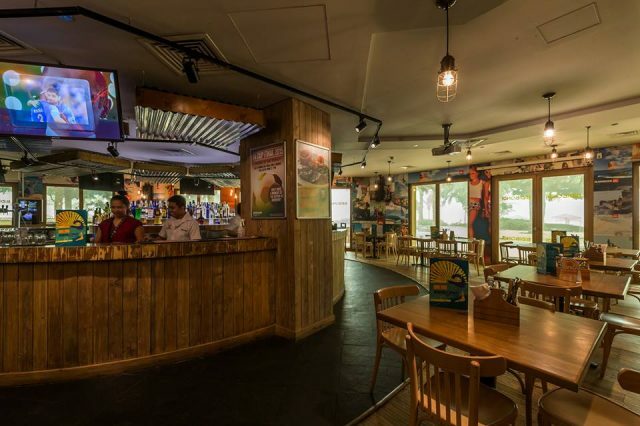 Offer: Aussie hotspot Bidi Bondi has a World Cup promo going on called the Palm Weekend — deal runs all day every day and includes 5 drinks or 4 drinks and a meal for AED 155. Call +971 4 427 0515. 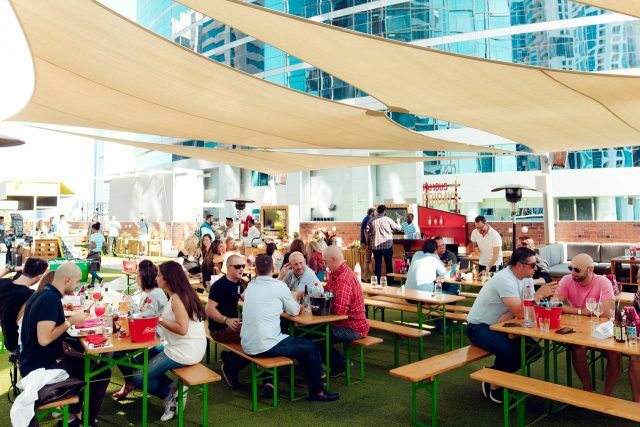 Offer: Grab a picnic table in the World Cup tent at Garden on 8 for drinks during Garden Hour, which runs from 4pm-8pm and features 2-for-1 on house drinks and craft beers from AED 35. Call +971 4 427 1000. 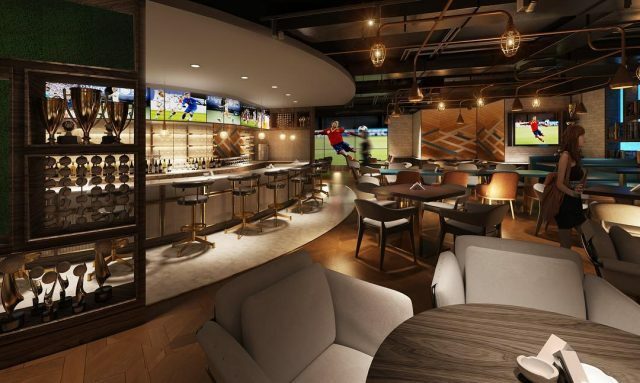 Offer: Boasting one of the longest happy hours on SZR, Trophy Room is a new sports bar Dubai hotspot with discounts on select beverages from 12pm-7pm, and bar bites starting from AED 32. There’s also a special chicken wings and hops offer featuring a bucket of wings and a bucket of malt — perfect for hungry groups. Call +971 4 3118316. 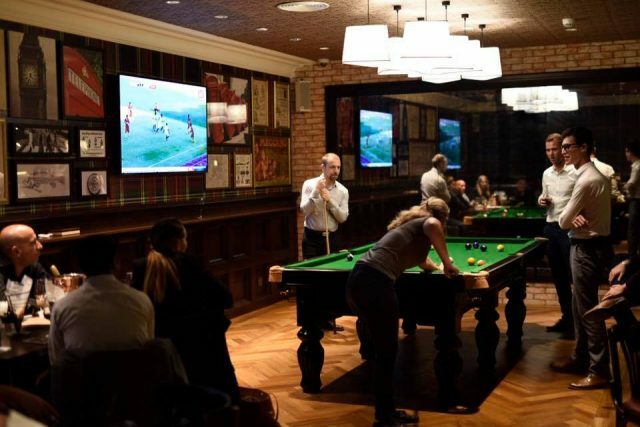 Offer: World Cup specials at The Rose & Crown feature buy-2-get-1-free offers and a Budweiser bucket with 5 bottles for AED 165. Happy hour normally runs daily from 4pm-8pm with selected house beverages from AED 29. Call +971 4 437 0022. 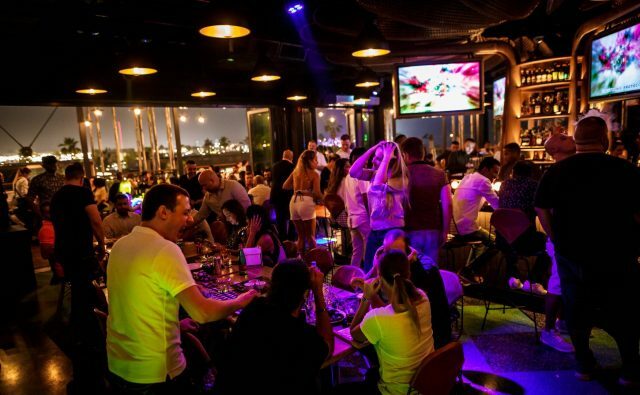 Offer: Looking for a weekend happy hour Dubai hotspot? Check out The Huddle in Bur Dubai on Thursdays to enjoy 5 house beverages and a main course for AED 125, or 5 pints and a main course for AED 175. On Fridays it’s Huddle Double from 12pm-10pm, with buy-1-get-1-free on house draughts and spirits. English Curry Night is on Saturdays, from 12pm-midnight, with a selection of curries and a pint for AED 49 per person. Call +971 50 100 7065. 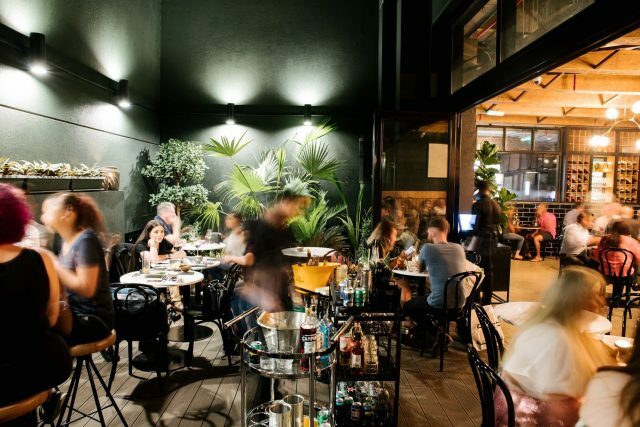 Offer: Brunswick Eatery.Bar.Terrace hosts Trolley’s on the Terrace featuring a happy hour from 5pm-8pm, with 2-for-1 drinks on spirits and wines, along with a fun Trivia Night on Tuesdays. Call +971 56 404 0685. 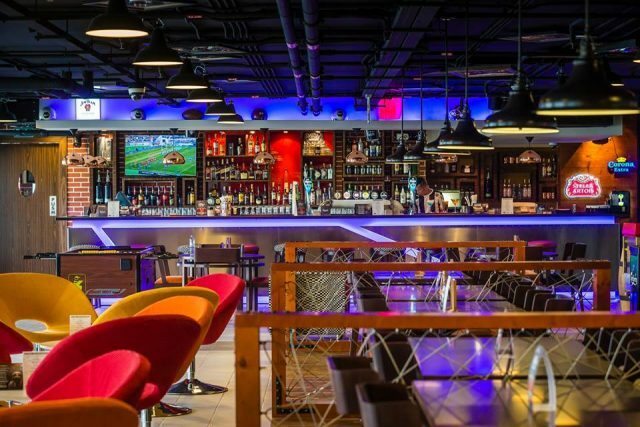 Offer: Head down to Kickers in Sports City and enjoy 50% off on food and drinks during happy hour til 7pm everyday throughout the World Cup, along with bucket deals from AED 150 and a Wild Wings night on Wednesdays that includes a bowl of wings and a hop for AED 60. Call +971 4 448 1001. 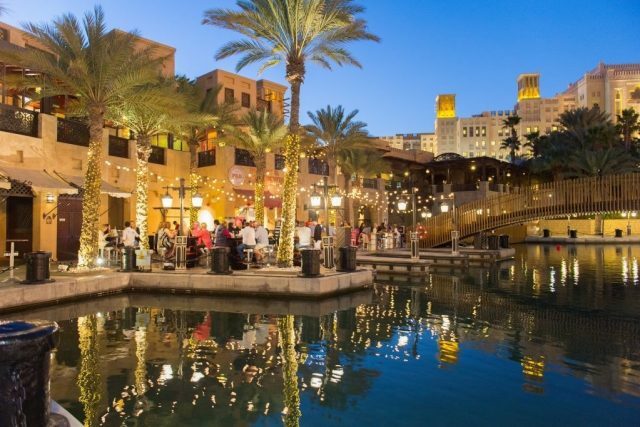 Offer: Stars N Bars at La Mer services up happy hour Dubai deals every evening from 5pm-8pm. Choose between 2 select beverages for AED 50, signature drinks for AED 50 or an appetizer platter for AED 50. On Mondays you can also score 25% off on steak and craft beer orders. Call +971 4 349 9903. Offer: Perry & Blackwelder’s is serving happy hour Dubai specials from 5pm-8pm, with select beverages at AED 30. Come down hungry during the World Cup and enjoy a platter of rings, wings, beef brisket nachos and shrimps for AED 129. You can also grab a bucket of 6 beers for AED 129. Call +971 4 432 3232. READ MORE: World Cup 2018 —Where to Watch the Matches in Dubai! 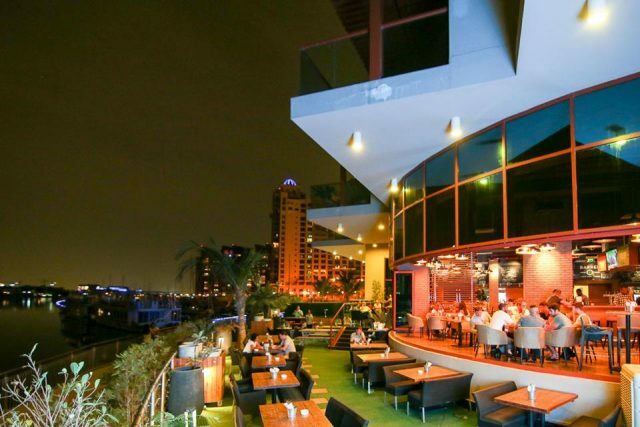 next7 Ladies' Nights in Dubai — For Every Day of the Week!